← Because once a year is often enough for haircuts, right? What’s a cabin in the woods without some time on the lake? No mountain vacation is complete without spending a little time on a mountain lake, right? 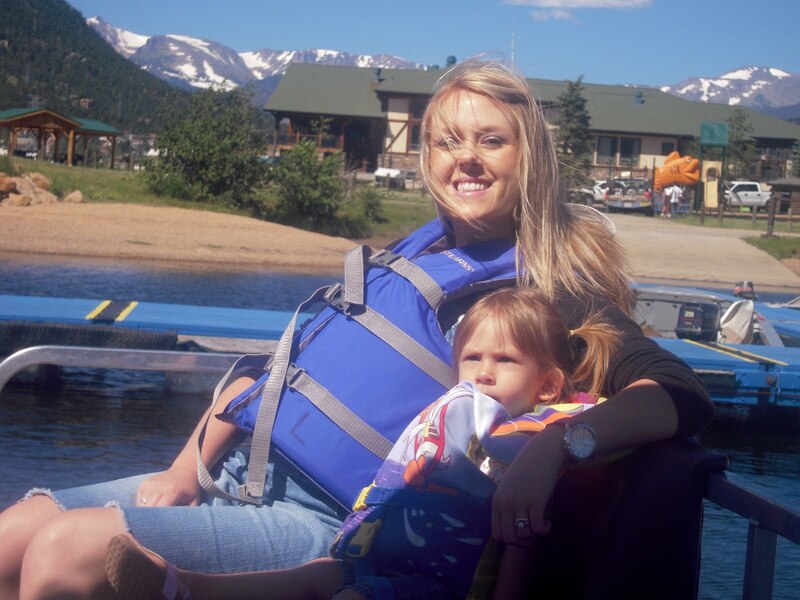 So while in Estes we headed down to the marina and rented a pontoon boat. 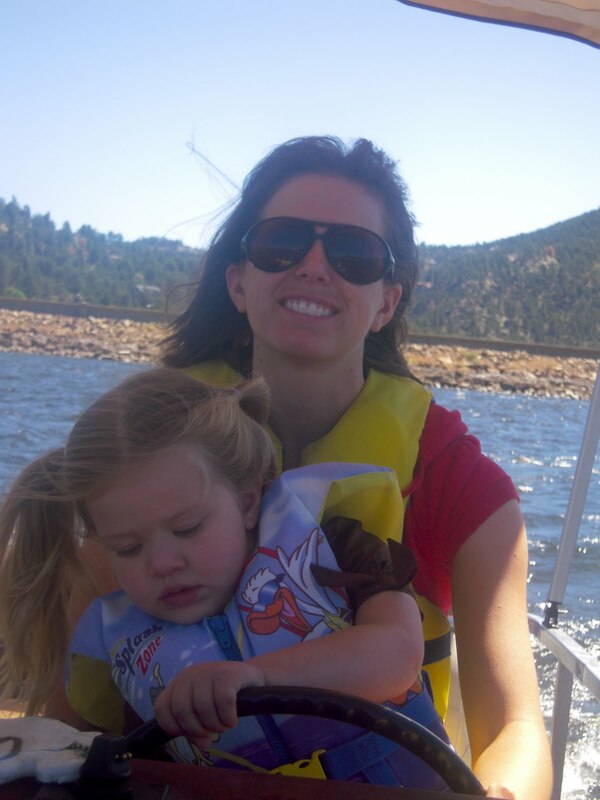 Kirsta got behind the wheel and we headed out for a lovely time on the water. Then like 7 minutes in Amelia got sea sick and we had to turn around. But we dropped Kari and Amelia off and went back out for a wonderful, you know, 12 minutes. After that the kids were tired of it. Even before we left the dock Amelia looked a little suspicious of the whole thing. 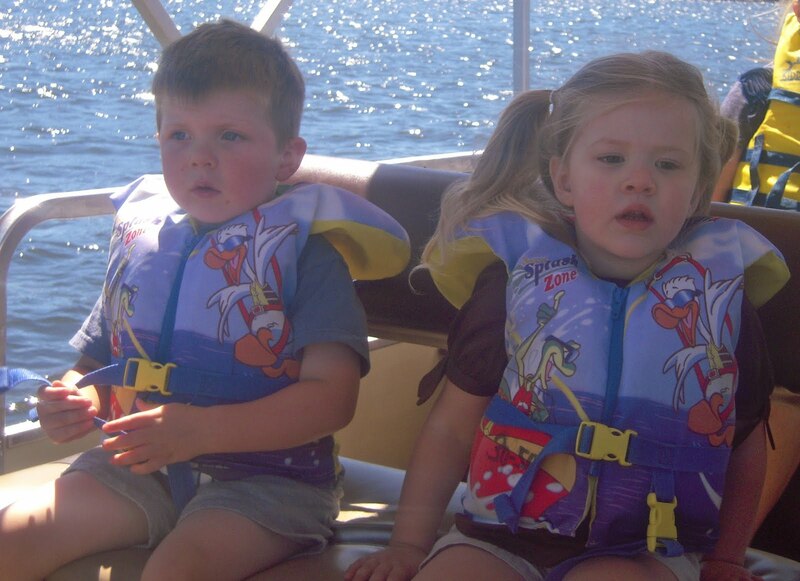 The kids took turns helping Kirsta pilot the boat. That was the best part, obvs. See how thrilled the are to be enjoying such a wonderful ride? Seriously, who gets sick on a pontoon boat? Oh well. It was fun anyway. Seriously, who does get sick on a pontoon boat? We're in for a long ride. I'm enjoying my windblown look, do you think I could rent a fan to cart around with me everywhere I go? And did you post those to Walmart yet? My book's seriously cute, but seriously unfinished without those pontoon pics.